Providing you the best of comforts and a unique experience Located in Sitla, Mukteshwar, Ojaswi Himalayan Resort is a 3-star property which offers a 180-degree view of The Himalayas. It also provides free Wi-Fi to its guests. Chauli Ki Jali is located at a distance of 23 km from the resort. The resort features luxurious Ojas Spa and wellness centre, Orchard Yoga and Jacuzzi on chargeable basis. It also provides free parking and complimentary internet access to the guests. Moreover, it offers several recreational activities like rock climbing, nature walks, paragliding and cycling. In addition, guests can indulge in indoor games like chess, caroms, air hockey, table tennis, and video games. The resort offers 24 spacious rooms, which are divided into Jungle Retreat, Terrace Rooms, Club Retreat, Ojaswi Family Suites and Himalayan Suites, some of them offering splendid views of the mountains and valleys. Each room has a flat-screen TV. Every room category is equipped with in-room safe, minibar, free Wi-Fi, and tea/coffee maker. The resort also provides private bathrooms with free toiletries. Laundry service is also available. The resort features an in-house restaurant which specialises in Indian, Chinese, and Continental cuisines. Guests can choose from a range of delectable dishes as per their own preferences. The resort is 55 km away from Patiakhali Bus Stand, 67 km from Kathgodam Railway Station and 101 km from Pantnagar Airport. Some of the major attractions near the resort include Shri Sai Nath Mukteshwar Dham (20 km), Chauli Ki Jali (23 km), Bhalu Gaad Waterfalls (23 km) and Bhimtal Lake (47 km). Mukteshwar Market, a popular shopping destination, is 22 km away from the resort. 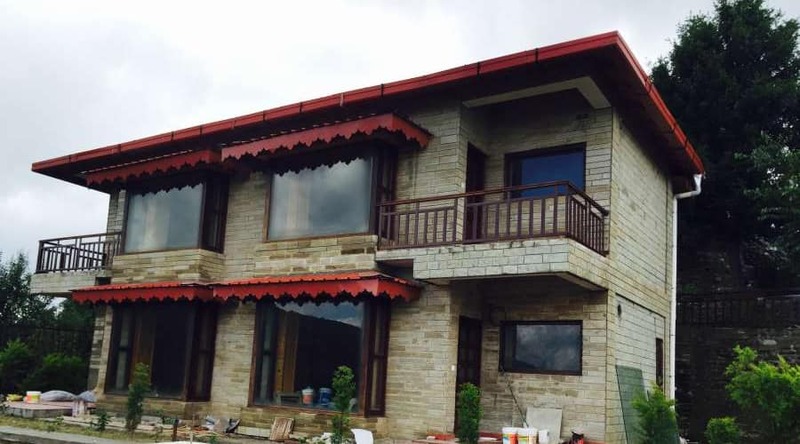 Book now and enjoy world class services at Ojaswi Himalayan Resort What people love the most about this property is its beautiful and unique experience. No refund if you cancel this booking. What needs to improve : This resort is a complete package - great view, good food and the most important a beautiful layout of the hotel. Even if you don't step out of this hotel then to you would be able to enjoy the beauty of the hill station. Peaceful and a beautiful nights with great comfort. What's Good: Room. Staff. Garden. Waterfall. Play zone for kids. What needs to improve : Himalyan view not present. Reason For Rating : Excellent property in Sitla. I think better than any other resort there. Rokms are spacious and well designed. Waterfall inside the resort is amazing. Staff is very courteous n cooperative. Only thing is that not all rooms have a himalyan view, so while booking you can insist on some room that provides a view, or have some common space where ppl can sit and enjoy himalyan views. We had booked two deluxe rooms. They were large, bed for four persons, had all the required facilities. Extremely good room service with polite and friendly staffs. Also has billiards, carrom and kidzone. No bathtub. Great view of the Himalayas from our verandah. Overall very good value for money and highly recommended. It was great experience with resort and nice ambient and natural views were awesome.It great pleasure and experience out there. Staff is coordinating, helpful and caring.Rooms are very neat and clean and very hygiene. Supportive staff in all ways room service is very nice. We are in group of 40 members the resort location is very beautiful and the view from the rooms is also very good Food was great The staff was very cooperative and active Kids play room is nice with multiple toys available for kids to play. This review might not be very insightful since I was there only for an hour or so. The best thing about this place is the location. This location offers amazing scenic views of the lower ranges of Himalayas from the rooms and from the restaurant. The lawns are well maintained. There is a spa. The reception service could be improved upon. The owner is a nice person and talks calmly. The reception people seem uninterested. A definite recommend for someone planning to visit a peaceful place and take in the beauty of nature. Terrace rooms from 101 to 106 will get you the best view of Himalyas from your bed.